Boys will be boys. We’ve all heard it before, usually from an emotionally exhausted parent in our youth, but some of us may have even uttered the words ourselves. I found myself in a bit of a ‘boys-will-be-boys’ situation recently; a phone call from my frazzle mother – my little brother had toppled off his skateboard as he raced down a rather speed hill, breaking his jaw in three places. Typical. Gone are the days when doctors would wire a broken jaw closed like the monster from a B-grade horror film, but he is still restricted in what he was allowed to eat. Sympathetic of a diet of tired mashed potatoes and tomato soup, I graciously took on the task of inventing some delicious, yet soft and smooth meal ideas. French cuisine is so much more expansive than many of us imagine, boeuf bourguignon and foie gras are not quotidian meals as any French-cooking themed film would lead us to believe. Au contraire, they are traditional – time-consuming and expensive to make, and like the variety of French wines, are very regionally specific. I have decided that I needed to increase my knowledge on the larger umbrella that is the way that French people actually cook. I have been flicking through my newly acquired copy of 100 Styles of French Cooking by Karl Wurzer, marking recipes to try in my own variation of Julie Powell’s homage to Julia Child in The Julie/Julia Project – the story behind Julie & Julia for those who have no idea what I’m talking about. Sweet potato is something that I grew up eating a lot of, I could never pass up a huge pile of deep-fried sweet potato fries, crisp and salty – the perfect picnic dinner while sitting on the beach. 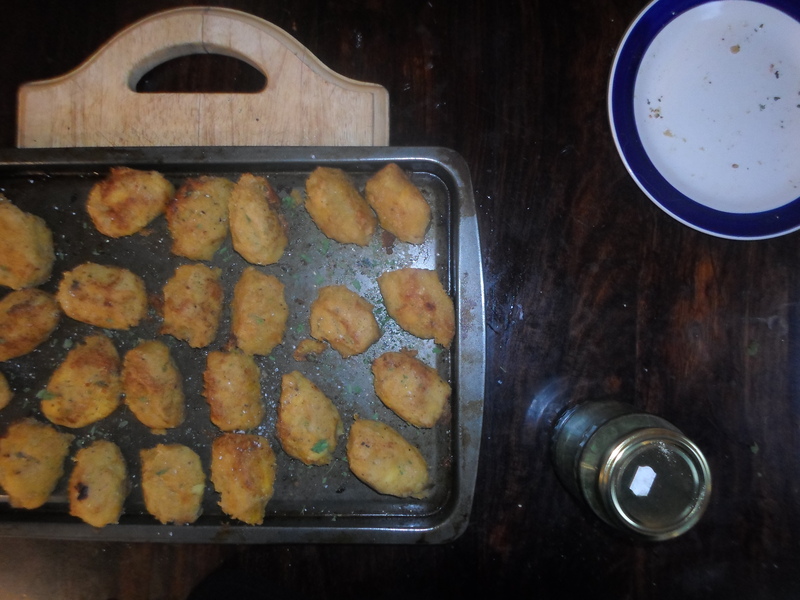 They are basically a more interesting version of a standard potato and when I stumbled upon Karl’s recipe for croquettes à l’algerienne – Algerian croquettes, I knew I had to try them out! 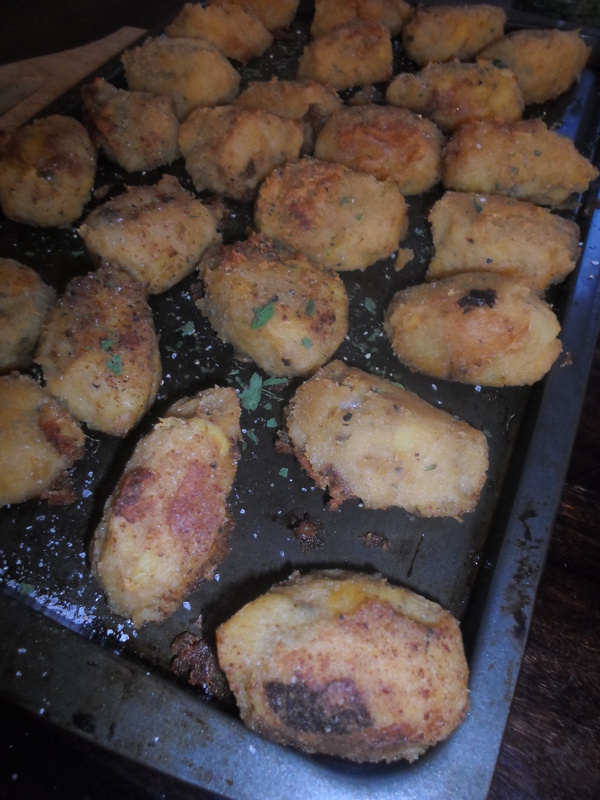 Like most delicious things, these crunchy globes of mustard coloured mash are best finished off in the deep fryer, but because I 1) don’t have a deep fryer and 2) am not using that much oil in one go, I decided to pan fry them and finish them off in the oven – kind of like my churros. Peel and dice one sweet potato per person and boil until cooked through and tender. 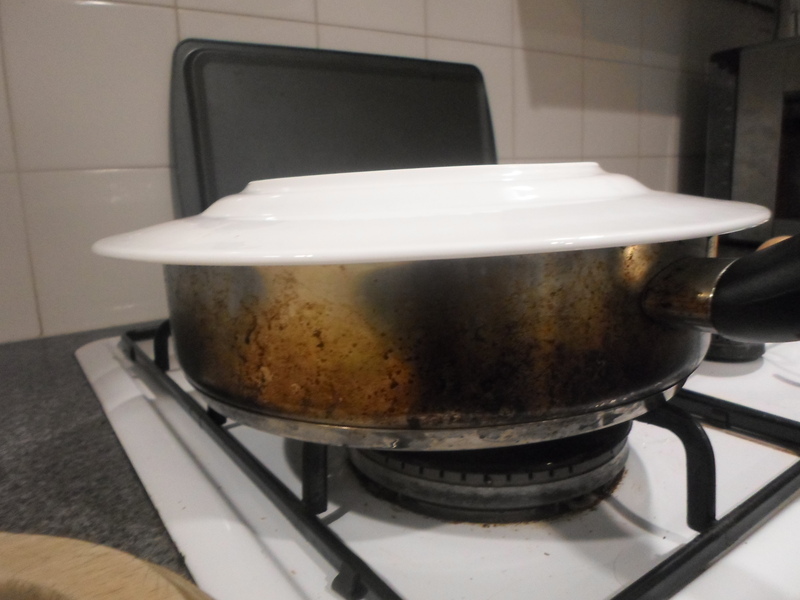 Drain through a colander and leave so as much of the water as possible can drip through. Sauté ¼ of an onion per person in olive oil or lard – I used chicken fat from a roast the night before, it gives it a nice meaty flavour without making it seem too heavy. Mash the potato and stir the onions through once they are soft and syrupy, along with 2 tablespoons of ground almonds or cashews per person, ½ a teaspoon of cumin, ¼ a teaspoon of nutmeg, a sprinkling of cinnamon and a big grind of salt and pepper. I added a pinch of dried herbs too. Based on your skill and patience, there are two ways to shape the croquettes – you can either shape them into flat rugby ball shaped spheres with your hands, or into quenelles using two tablespoons. Either way, you’ll get the same result. If you are organised enough, I would recommend doing this much of the process the day before and refrigerating the quenelles so they hold their shape better. If that’s not possible then I guess that’s fine too. 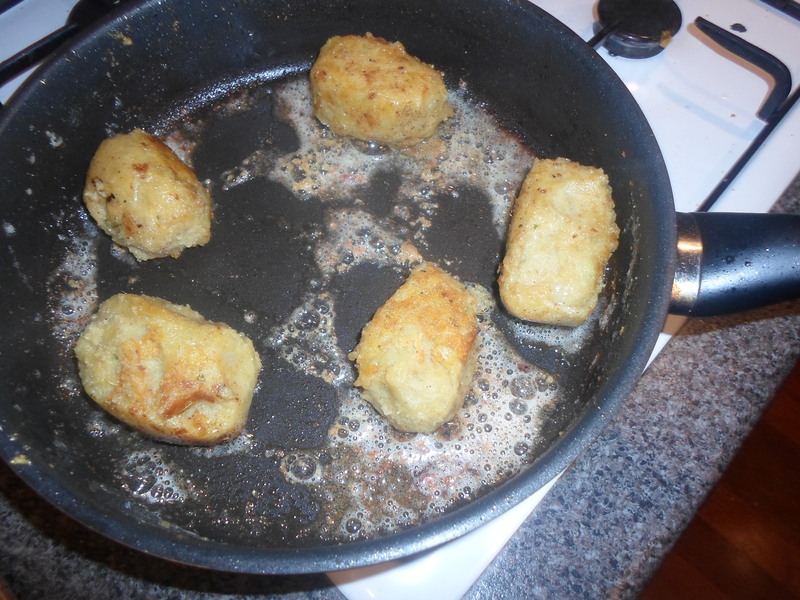 Fry your croquettes in as much oil or melted butter as you want – the more you use, the easier it will be, but as you increase the oil, you increase the un-healthiness – a lose-lose situation. I lightly fried mine on either side before baking them for a further 10 minutes to get an even crisp and to heat them the whole way through. I served mine with a yogurt and tahini dip and sprinkled over some more herbs, salt and pepper, just in time for my brother to tell me he couldn’t make it. More for me I guess! Even though the in-between parts of seasons are problematic for guessing the weather forecast or planning a temperature-appropriate outfit, they are a great for a varying abundance of produce. Unless you’re going to buy your produce imported or from a greenhouse, things that I try and steer away from, this recipe really is only viable while aubergines are in season. Even though it is warm and roasted, there are so many fresh and raw elements that it makes sense to limit it to the warmer months. My aubergine and sweet potato stack is a dish stuck somewhere in between a roast vege salad and a plate of raw greens… in a good way! Layers of soft and warm eggplant, crisp discs of sweet potato and spinach leaves full of crunch, topped off with sweet smoked bell peppers, soft crumbly feta and capers for a salty pop. It’s so easy; the hardest part is stacking it all up without the tower toppling over! Begin by roasting an entire red bell pepper under the grill of an oven, or, if you’re feeling dangerous, on a gas stove element. Roast on a high heat until the skin begins to blacken and blister; this will take a while but keep an eye on it and rotate it for even charring. Use this time to slice an aubergine into 1cm thick slithers, and one large sweet potato into 2cm thick discs. Getting a uniform consistency with the sweet potato will be difficult because they are such a beautifully ugly vegetable (one of the reasons I love them so! ), but having nice even slices will make the stacking part a bucket load easier! 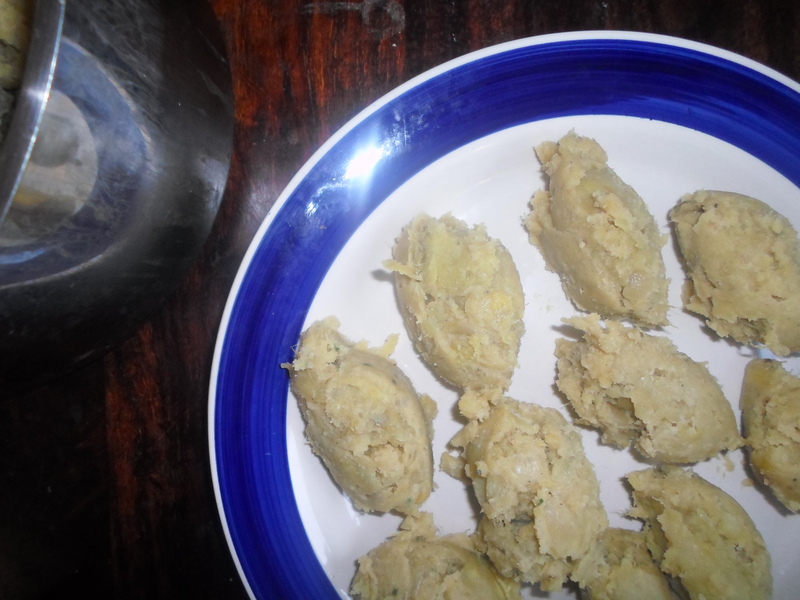 Drizzle them in olive oil, turn the oven to bake, lower the temperature to 180°C and switch them the with pepper. If possible, bake the vegetables on different trays and place the aubergine on a lower shelf inside the oven. By arranging the trays like this, the eggplant slices will slowly bake without crisping, and by the time the sweet potato is cooked tender and golden, the aubergine will have garnered a soft texture; not too crisp but no longer tough and chewy. Flip each rondelle after about 15 minutes and continue baking for a further 20 or until they look like they’re done. In the meantime, slice the top off the smoky bell pepper and peel off the skin so you are just left with the tender red flesh. Slice into thin slithers and that component is complete! Wash the leaves of one bunch of spinach and tear the leaves into manageable bite size segments. Fun fact: tearing the leaves, instead of cutting them, stops them from browning. Crumble some feta and once the eggplant and sweet potato are cooked, you’re ready to plate up. Begin with two mountains of spinach, on separate plates and pile alternate layers of eggplant, sweet potato and the remaining spinach with the utmost care – hold your breath so the tower doesn’t collapse if you think that’ll help. Once you have exhausted your vegetable piles, dress with the snakes of red pepper and crumbled feta, top with a teaspoon of capers, a drizzle of olive oil and a grind of pepper. Serve with a congratulatory glass of red wine – you deserve it! “So you just shot it?” “Yeah, that’s how we do it in Italy.” My introduction to limoncello, followed by an acidic burning sensation lancing down my throat, a sensation I can only imagine is not too dissimilar to gasoline. Save to say, you aren’t actually meant to shot limoncello, and a gaggle of Italians chuckling at the sight of two spluttering tourists confirmed that it was not how they do it in Italy. Limoncello is sweet and syrupy, glowing yellow like the warm Italian lemons which lend it both its name, and its tang. Served ice cold, the subtle aromas are perfectly refreshing on a balmy summer’s night. Aromas that I found out the hard way, are followed up by a brick wall of hard liquor – commercially brewed with an alcohol content our about 24%, many Italian nonni consider themselves limoncello-producing connoisseurs, who opt for a staggeringly higher number. 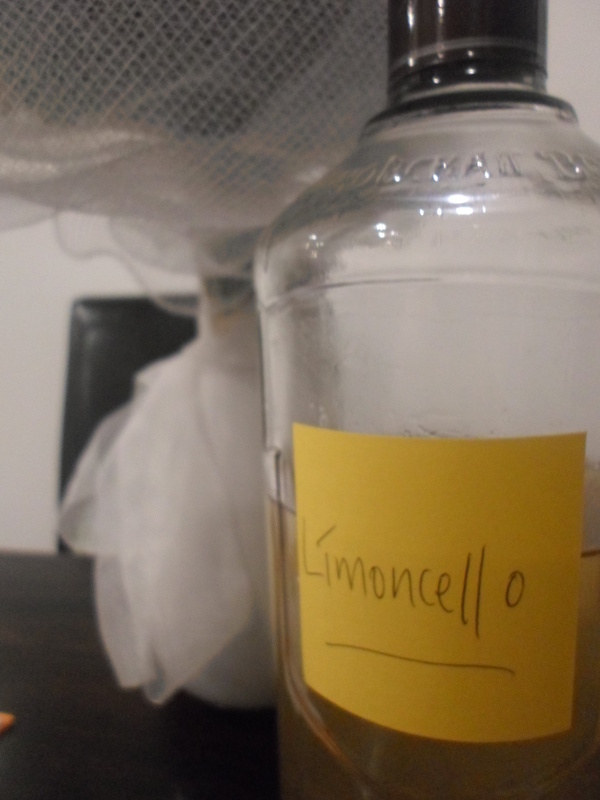 Even though limonello is seen as an exotic after-dinner liqueur, it is by no means difficult to produce – I tried it, and here’s proof. Step one is relatively easy, buy a big jar, some lemons and some alcohol. Any kind of alcohol. Okay, not quite, but almost – any non-flavoured, clear grain alcohol. I chose vodka because the alternative was gin, and gin is reminiscent of rather awful university days. If you are feeling like a bit of a big spender, opt for 100 proof; 80 proof will give you a slightly different end product but will do (that’s what I did, so I will talk about those difference later). 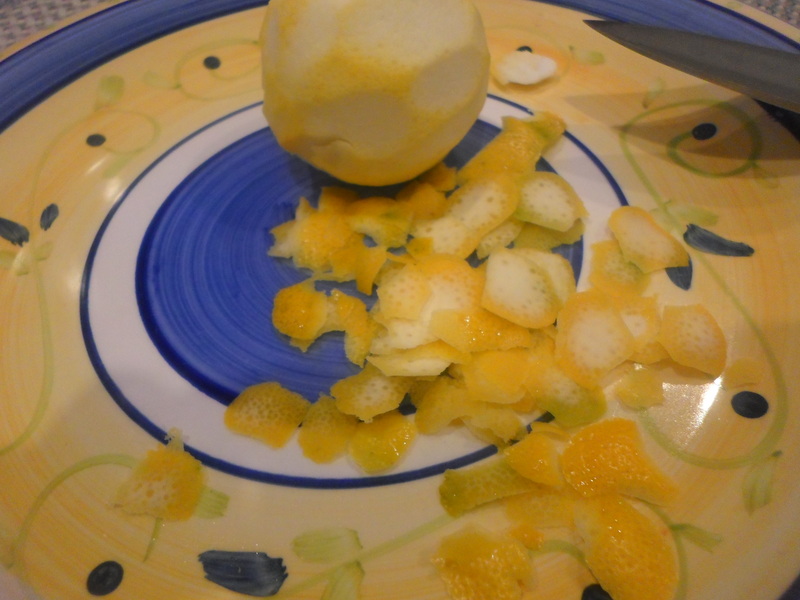 With a paring knife or vegetable peeler, remove the rind from one lemon for each 100ml of alcohol you are using. 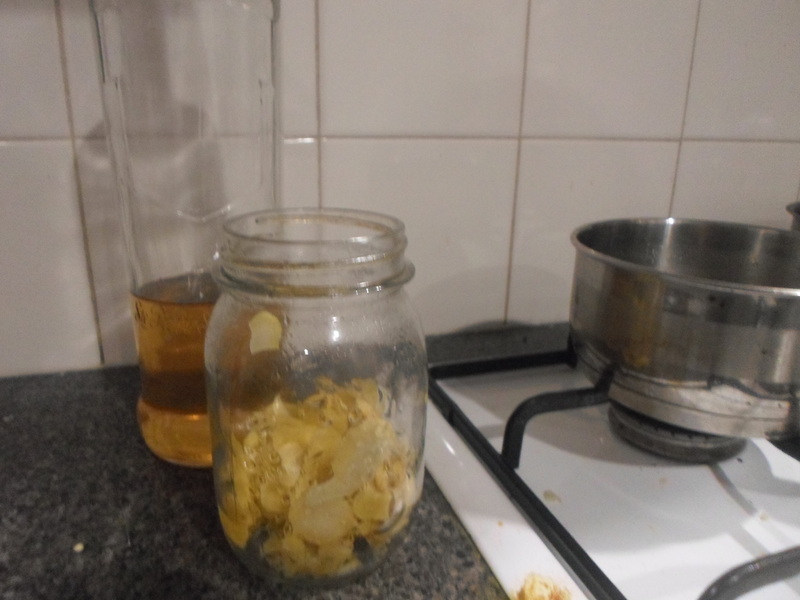 Things to take into consideration include, but are not limited to, the size of your jar – mine was a 500ml jar so I used 400ml of 80 proof vodka and therefore, 4 lemons. 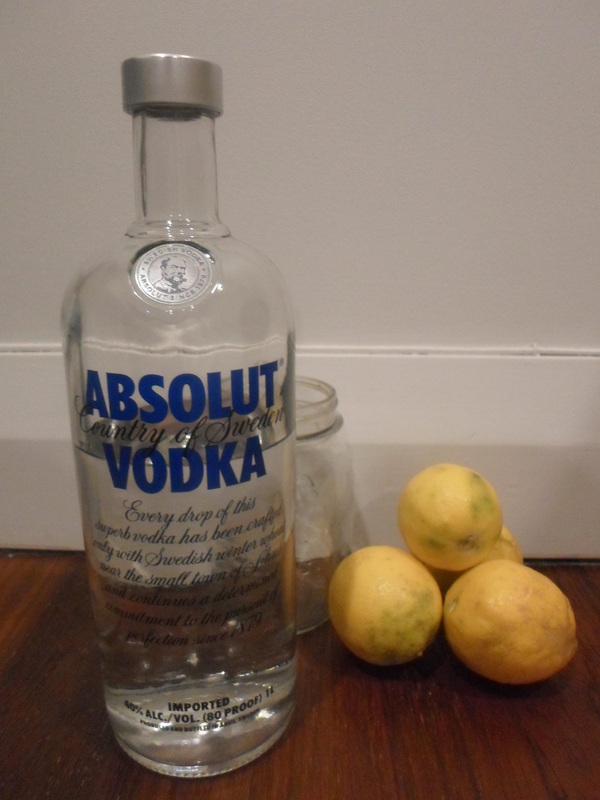 Make sure you have included as little of the lemons’ pith as possible, dump your lemon rind into your jar and plonk the vodka on top. 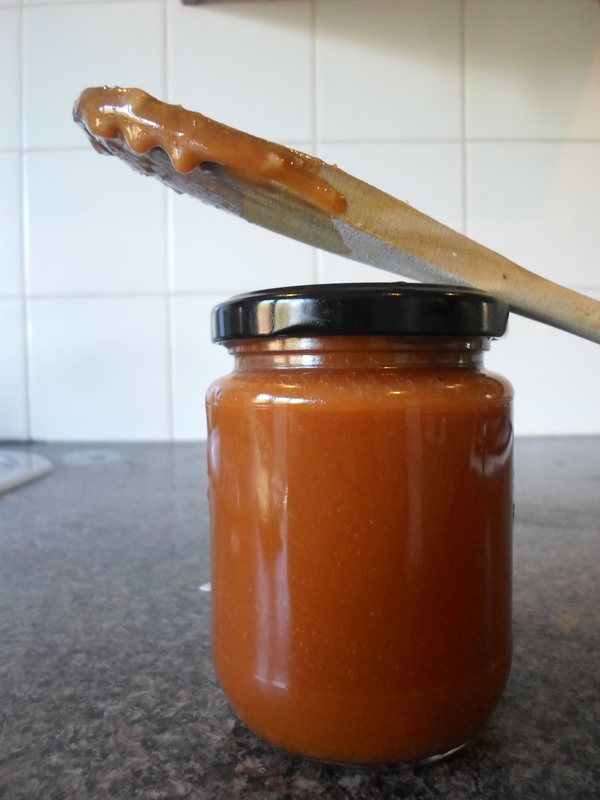 Screw the lid on top of the jar, place it into a dark cupboard and there, the hardest part is done. 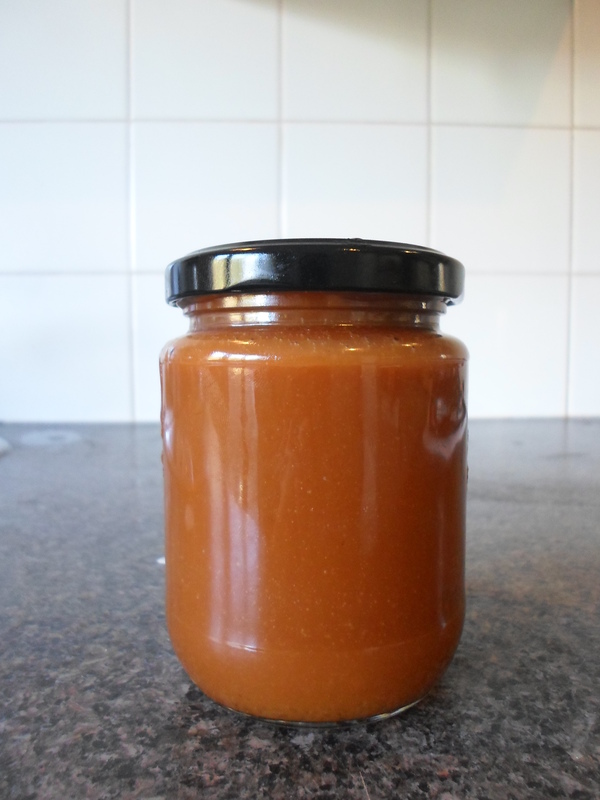 Give the jar a swirl at least once a day to get the flavours mingling- they will be well mingled in around for days, but they longer you leave it, the deeper and more infused it will become. I waited a month, I dare you to do the same. 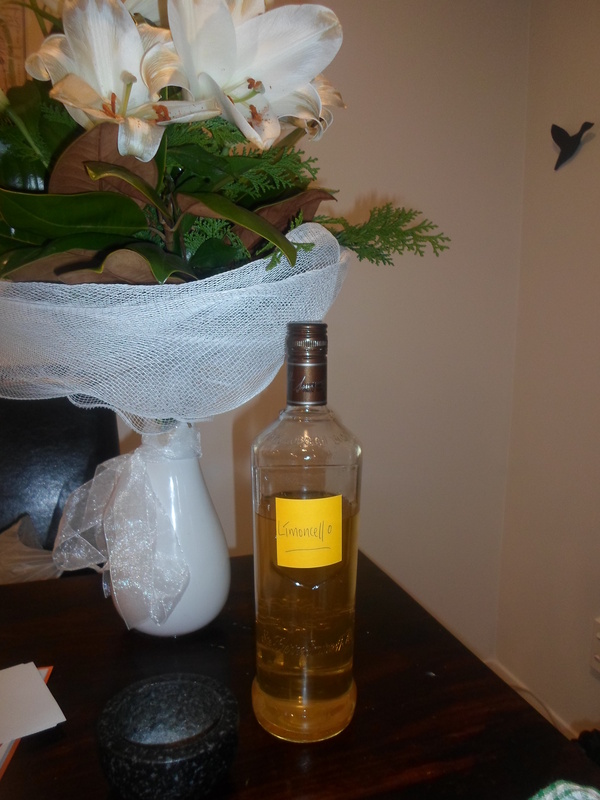 Once you are sick of waiting, buy a funnel and make sure you have drunk the leftover vodka so you are left with a nice, big, empty bottle. Strain the warm, golden liquid and transfer into the bottle – take a moment to truly take in its beauty. Then take a moment to make some sugar syrup. The amount of sugar syrup you will need depends solely on your tastebuds and partly on the strength of the alcohol you used. If you used 80 proof (like me), you will need to use less than if you used 100 proof, otherwise you risk making it too sweet and altering the chemical balance which can lead to you limoncello freezing solid (also, like me). Using the previous lemon algorithm, begin with 1/8 cup of sugar, and 1/8 cup of water per lemon – you can always add more, but you can’t take it away. Heat the syrup until the sugar has dissolved and leave to cool slightly before adding to the lemony liquor. Once it has cooled, pop it in the freezer until it is ready to serve. Chances are, if you used 80 proof it might still freeze, if that happens, just keep it in the fridge and serve with an ice cube. So, how do I think this little experiment went? 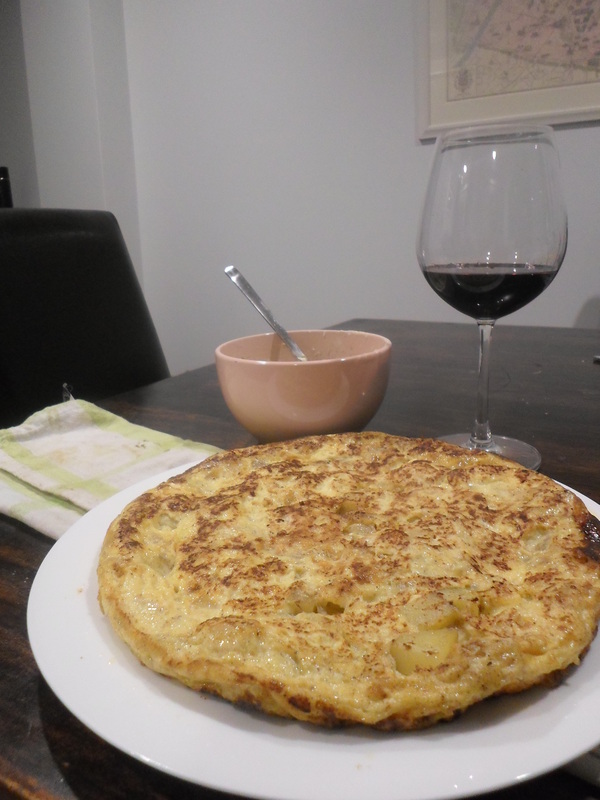 Spanish tortilla; a staple recipe that every Spanish housewife knows off by heart and can whip up in no time in the event of entertaining unexpected guests. And around Corpus Christi, one should expect a lot of unexpected guests. While the general concept of a tortilla is very simple to prepare, there are a few complex nuances that are needed to prepare the perfect tortilla – they are essential, because, remember, the whole street is going to be judging you based on it. 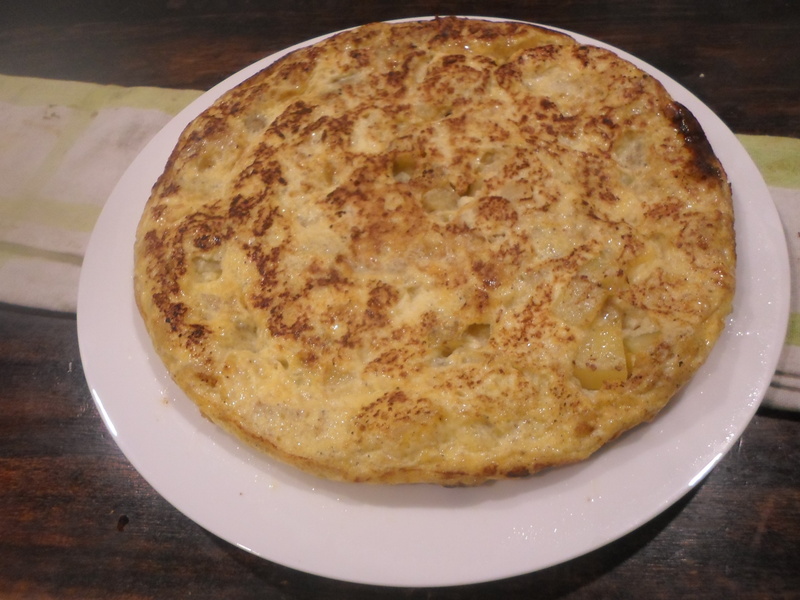 A tortilla is essentially a potato omelette – a frittata, so the ingredients don’t really extend further than potato, eggs and milk. Oh, and an unreasonable amount of oil. My first piece of advice is to think about the amount of potato you have in relation to milk and eggs in relation to the size of your frying pan. You don’t want too much potato that each piece isn’t saturated in egg mixture, but you want enough so that when it is all in the pan it isn’t spread too thinly. I would suggest two medium size potatoes to three eggs and a cup of milk. My second piece of advice is to cut the potatoes very small, you want them to cook all the way through without crisping up too much. And the smaller the pieces the quicker they will cook. As a guide, I would say cut them into pieces roughly the size of your fingernail. 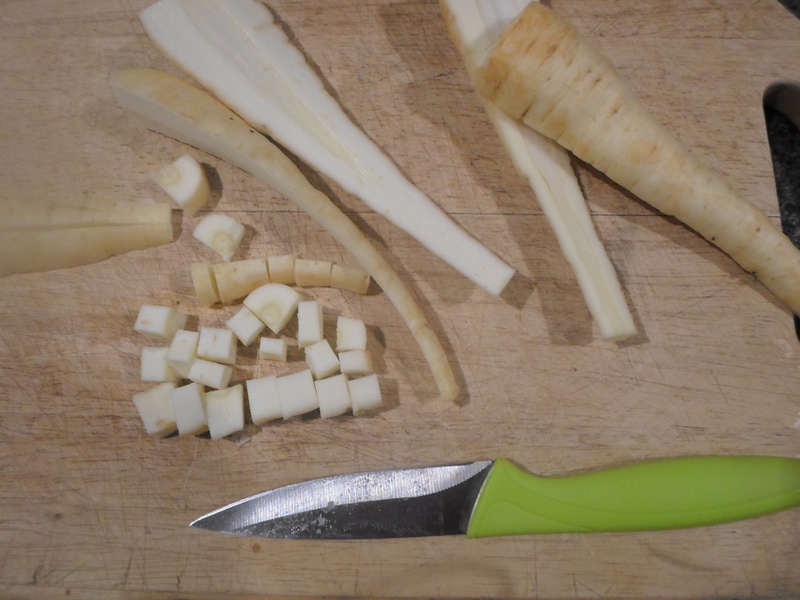 I did it here with parsnips. 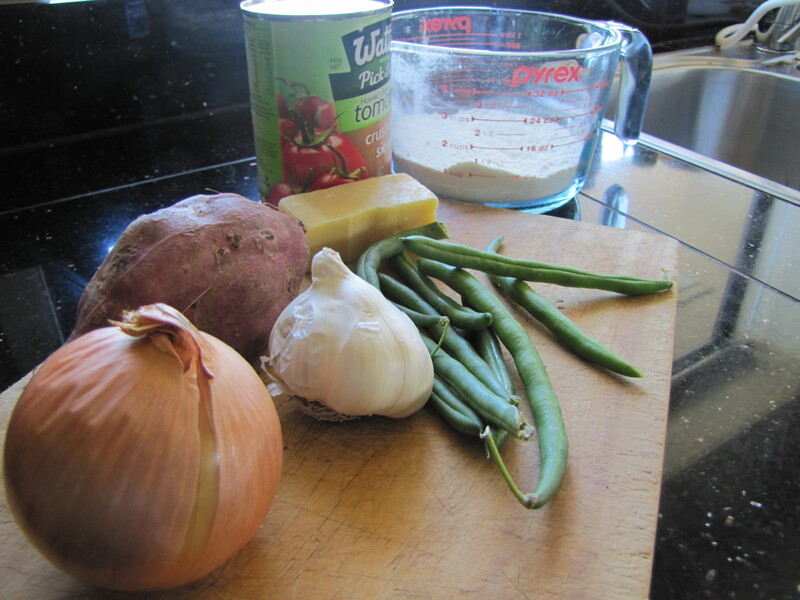 Gently heat about three tablespoons of oil in a pan and add the potatoes, stirring frequently. ADVICE: Use a non-stick fry pan or don’t even bother. Speaking from experience, if it’s not non-stick, you will end up with lumpy scrambled eggs. It will take you about 15 minutes to cook the potato all the way through, be patient. When you think they are done, wait a few more minutes, because you are probably wrong and no one likes to eat raw potatoes. Scoop the potato out of the pan, keeping the oil for later. While the potato cools, whisk the eggs and milk together. 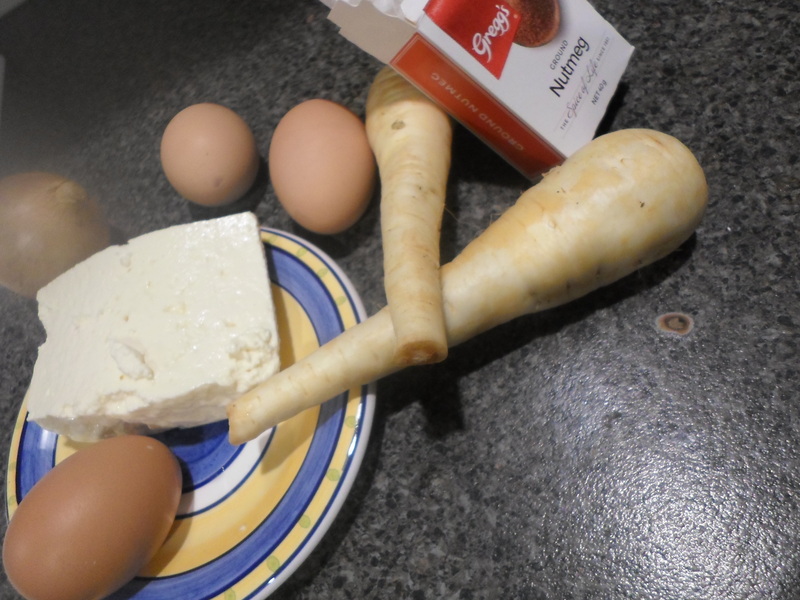 Some recipes say to separate the eggs and whisk the whites to firm peaks before mixing in the milk – you can do this but I don’t think it makes for a better end product and just takes up time. 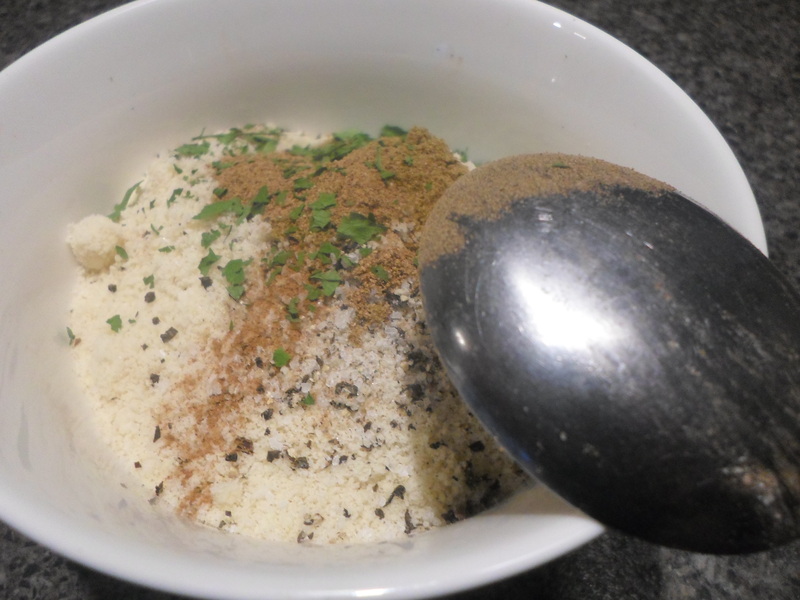 Season the mixture with salt, pepper and half a teaspoon of nutmeg. Nutmeg is the key ingredient, the ‘secret’ ingredient – just ask anyone, they are all more than willing to tell you, as long as you promise you won’t tell anyone, and if you do tell anyone each person will insist that they came up with the great idea of adding nutmeg. At this stage, you can add anything fancy you want; spinach, sundried tomatoes, or cheese. I prefer mine left plain and simple. 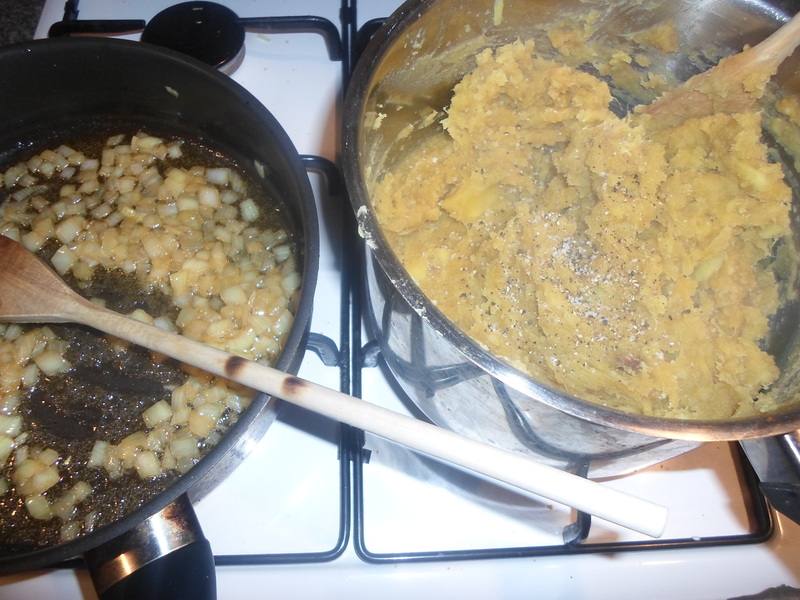 Mix the potato into the milk, reheat the oil and pour the mixture in. Use a slow eat so the tortilla cooks through without burning, this will take about 5 minutes or until the edges have begun to solidify. Mentally prepare yourself for the hardest part of this recipe – the flipping. Turn off the heat, place a plate on top of the pan and with a tea towel in each hand, and flip the pan upside-down. The plate will now have the tortilla on it, raw-side down. Place the pan back on the heat and slide the tortilla back into the pan and cook for another 5 minutes. Flip it out of the pan, slice it into wedges, bit-size pieces or just tuck into it with a fork each. It’s not much to look at but tastes like an afternoon lying in the sun. Serve with salad, beer and people you like. Salted caramel is a pretty recent blip on my trend radar. I know that it is now a trend that everyone everywhere is embracing wholeheartedly- and rightly so because it is delicious! 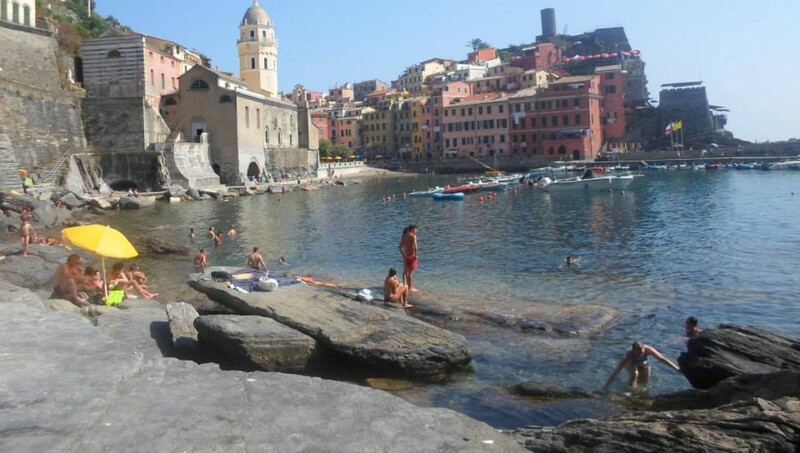 – but when I first arrived in Europe I had never tried it before and the idea of it really threw me. I quickly got used to it as it is everywhere, and very quickly it became one of my favourite flavours and one of the first things I think of when I think of French desserts. For some strange and unexplainable reason, I don’t really like normal caramel, but add a pinch of rock salt and I cannot get enough of the sweet and salty combination. So a few weeks ago, during one of my regular domestic moments I thought I would try my hand at making my own. It is such a quick and easy thing to whip up and I definitely recommend it because it means that there aren’t all of those added preservatives and ingredients whose names look more like math equations than actual ingredients. However, this in no way means that this is a healthy recipe! 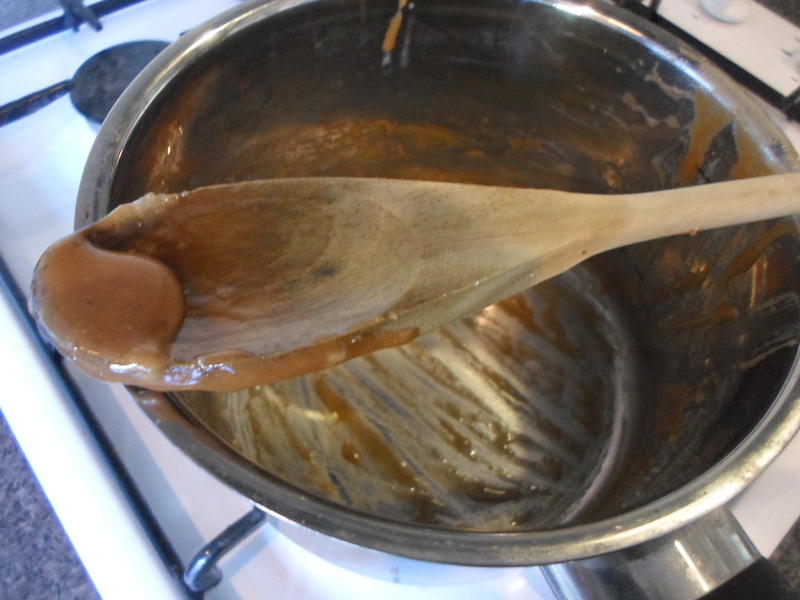 Place the sugar in a saucepan, heat and stir. As the sugar heats it will begin to stick together and form a consistency similar to crumble topping before completely liquefying. Simmer on a medium heat until it reaches a dark amber colour. 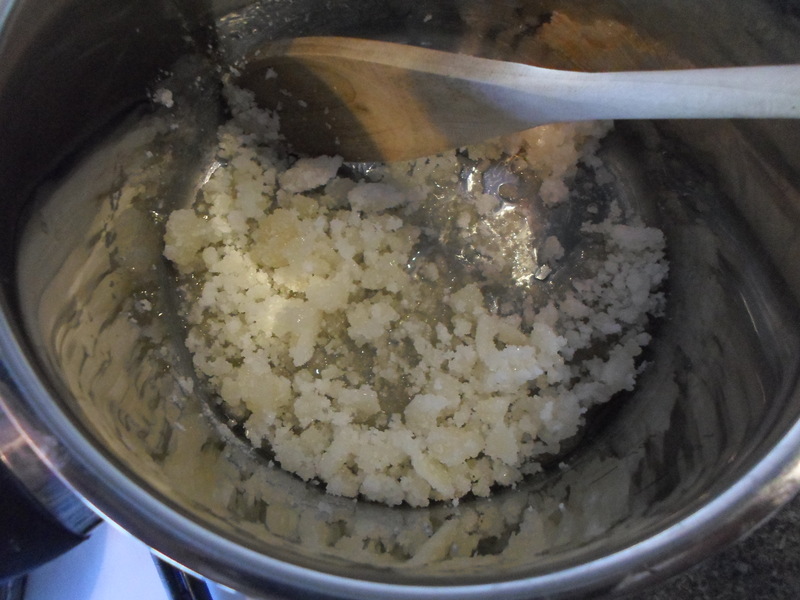 Slice the butter into cubes and stir into the sugar until it is completely melted. Add the cream and simmer for another minute, stirring the entire time. Take it off the heat and add the rock salt. A lot of recipes use less salt than I did, but I think it needs to be quite salty for the effect to really work; but whatever works to your own tastes. 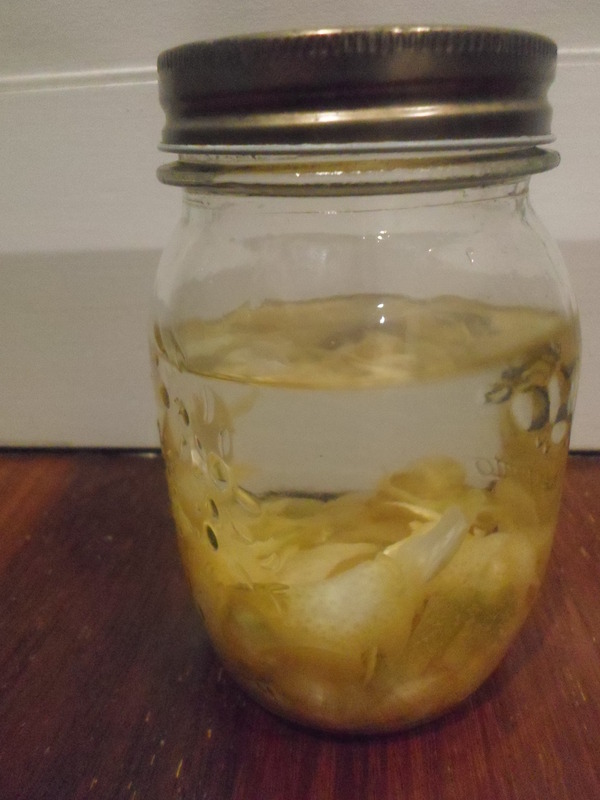 Leave it to cool before using it, or pour into a heated glass jar if you are planning on storing it. It will keep in the refrigerator for several weeks. The last step: lick the pot clean. This is perfect drizzled over ice cream, mixed into cookie dough or used to sweeten your morning oats or porridge. 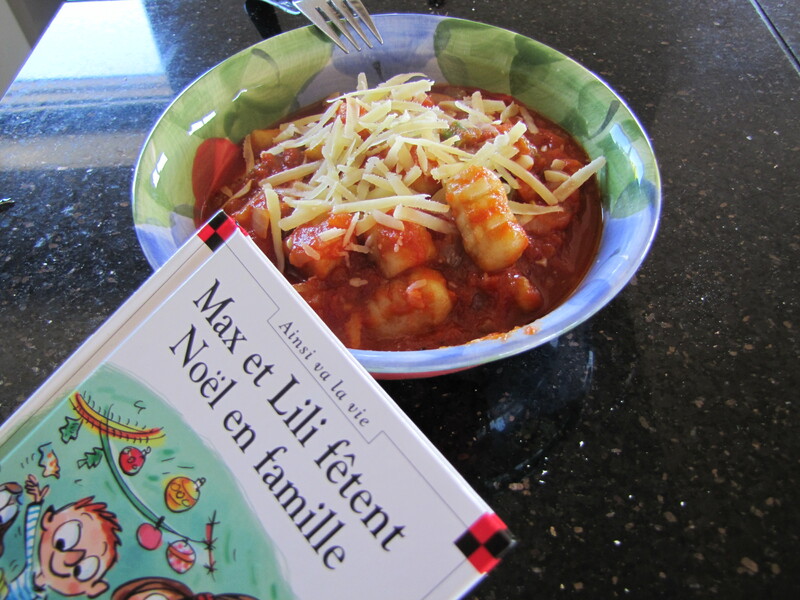 I have been craving gnocchi the last couple of days and I thought today it would make a perfect lunch in the sun. 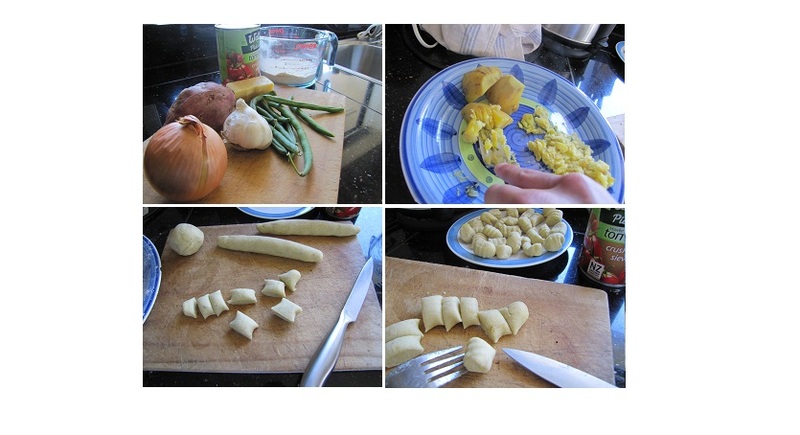 Gnocchi is a basically an Italian dumpling made of flour and potato; it’s really THAT easy! While traditionally potato is used, I have made them with potato, sweet potato or pumpkin or even a combination of the three before. Although this dish is a little up there on the time-consuming scale it is by no means difficult and you need barely anything to make a whole delicious meal; I literally used eight ingredients. As you may be able to tell from the above picture I used sweet potato instead of normal potatoes but that was only because I had a sweet potato in the cupboard and couldn’t be bothered driving all the way to the grocery store to buy regular potatoes! Once the potatoes have cooled down a little, mash them with a fork until it is lump-less and spread out on a plate to cool. You can start on your sauce while you wait 🙂 Gnocchi is flavorful on their own so you don’t really need a particularly thick or busy sauce to serve them with, I made a basic tomato sauce (a diced onion, some crushed garlic, a can of crushed tomatoes..a little red wine if you’re feeling naughty) with green beans, I maybe would have added some diced capsicum if I had any but that is about as exciting as I would get. Alternatively, mix the gnocchi with some basil pesto and drizzle with olive oil to keep it light. 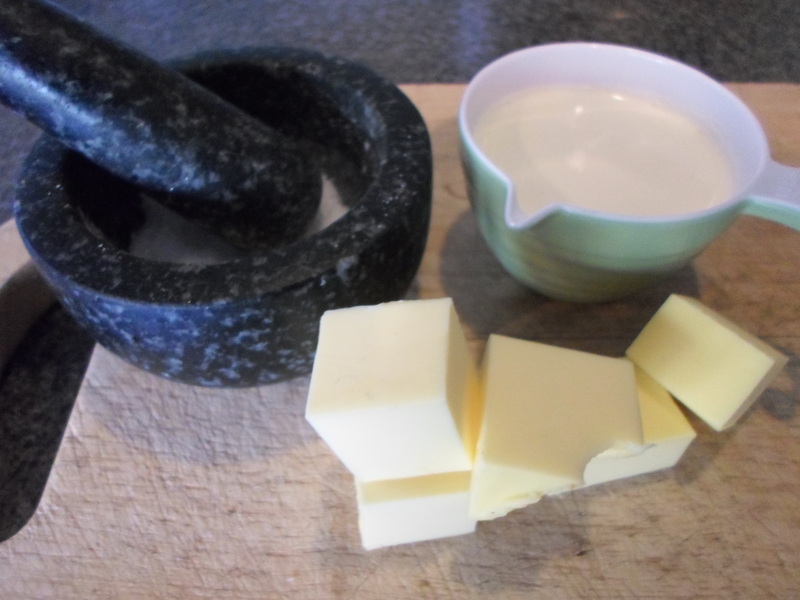 Quarter your dough ball and cylinders about a centimetre thick and cut widthways at centimetre intervals. This next bit is kind of tricky and not suuuuper essential if you want to skip it. Run each piece of dough down the back of a fork to make little indentations around it like in the picture below. Now it’s time to cook them! !